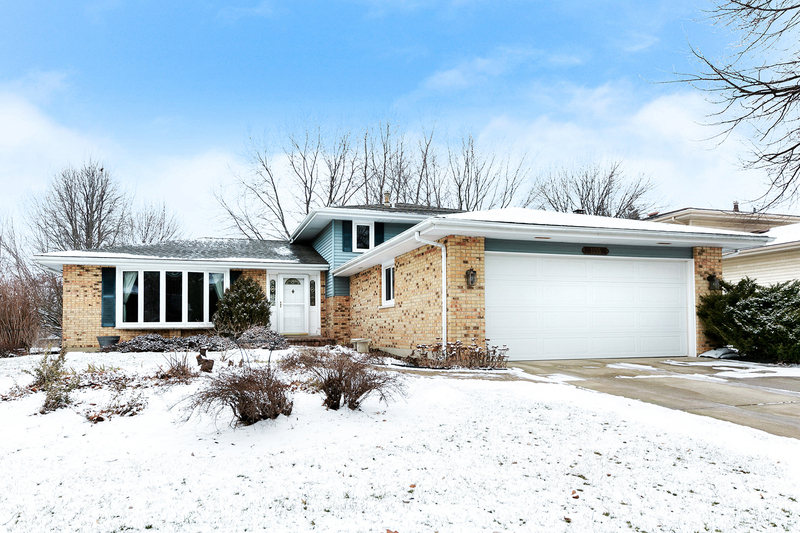 Lovely Split Level on Huge Lot Minutes to Downtown Naperville Awaits You. Boasts Fresh Paint in the Kitchen, Master & Lower Level Bath. Open Flr Plan in this 3 Bedroom, 2 Full Baths, Lower Level Family Rm w/Brick Flr to Ceiling Gas FP. So Much Natural Sunlight from Living Rm Bay Window. Full Bath in Lower Level. Huge Laundry/Utility Rm w/2nd Refrigerator & Exterior Access. Pantry/Storage Under Stairs to Lower Level. Whole House Fan. Sliding Glass Door from Eat in Kitchen to Outdoor Oasis - 26x26 Brick Paver Patio, Garden Area, Beautiful Lilac Bushes & Raspberry Plants. Huge Fenced Yard. Some of the "Newers" Include - Furnace Replaced in 2010, Overhead Garage Door in 2014, Living Rm/Dining Rm Carpet in 2015, Kitchen Stove & Fridge in 2014, Dishwasher in 2015. Radon Mitigation System in Place. Great Neighbors, Walking Distance to Summer Bandshell Performances, Close to Public Transit - Bus & Train - a Commuters Dream! Highly Acclaimed District 203 Schools. Hurry Before its GONE!